Democratic presidential candidate Sen. Elizabeth Warren called the principal chief of the Cherokee Nation on Thursday to apologize for taking a DNA test to prove her Native American ancestry. The apology comes after Warren, who has long claimed Native American heritage, has faced substantial criticism for the move from Native American leaders, Democratic operatives, and some supporters. 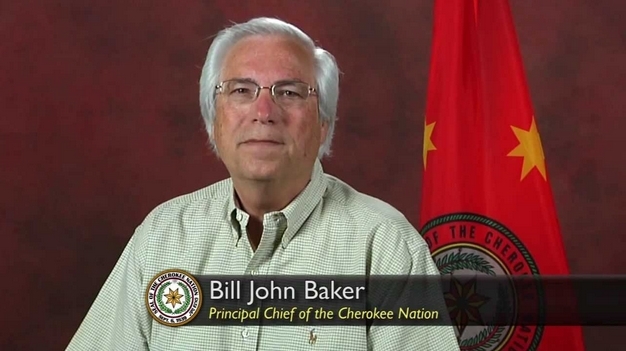 Julie Hubbard, a spokeswoman for the Cherokee Nation, told The Intercept that Warren reached out to principal chief Bill John Baker for a "brief and private conversation." "We are encouraged by this dialogue and understanding that being a Cherokee Nation tribal citizen is rooted in centuries of culture and laws not through DNA tests," Hubbard said. "We are encouraged by her action and hope that the slurs and mockery of tribal citizens and Indian history and heritage will now come to an end." Warren released her DNA test results last October after President Donald Trump said he would give $1 million to a charity of Warren's choice if a DNA test found she had Native American heritage. Trump has long derided Warren, calling her "Pocahontas" — a nickname widely interpreted as a racist slur. Warren took the bait in an apparent attempt to diffuse the right-wing attacks on her ancestral identity. Soon after, she was forced to explain that she isn't claiming to be a racial minority or the member of a Native American tribe. "I am not a person of color. I'm not a citizen of a tribe. Tribal citizenship is very different from ancestry," she said on the campaign trail in Iowa earlier this month. "Tribes and only tribes determine tribal citizenship and I respect that difference. I grew up in Oklahoma and like a lot of folks in Oklahoma, we heard the family stories of our ancestry." The move was condemned by some Native American leaders and Cherokee Nation leaders issued a rare statement slamming the DNA test. 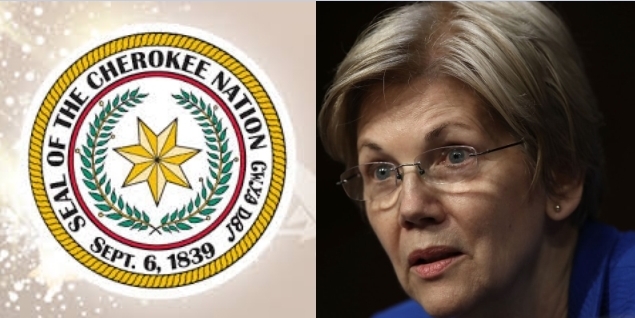 "Sen. Warren is undermining tribal interests with her continued claims of tribal heritage," Cherokee Nation Secretary of State Chuck Hoskin Jr. said in a statement at the time. Hoskin made that same argument in an op-ed published Wednesday in an Oklahoma newspaper, the Tulsa World. "This concept of family is key to understanding why citizenship matters," he wrote. "That is why it offends us when some of our national leaders seek to ascribe inappropriately membership or citizenship to themselves. They would be welcome to our table as friends, but claiming to be family to gain a spot at the table is unwelcome." Responses to "Elizabeth Warren Apologizes to Cherokee Nation for DNA Test"